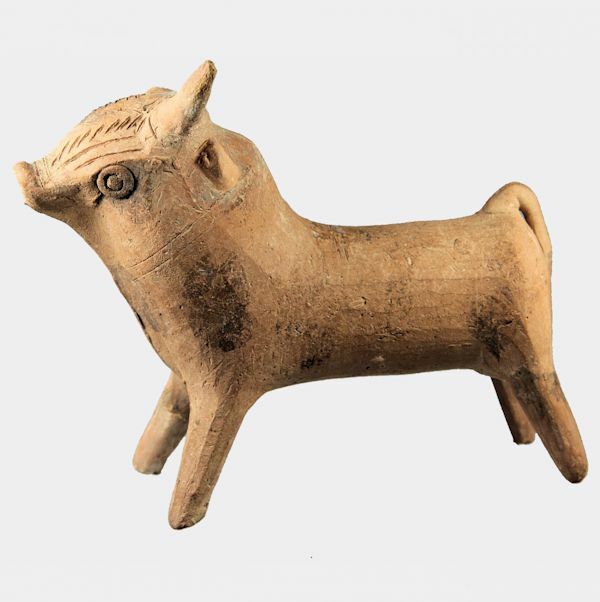 A hollow pottery figure of a horse with moulded details including a harness with bells. Ex. collection: PHDS Wikramaratna, Essex, UK; acquired c. 1950-1990.